Needless to say, I was pretty disappointed. That lamp haunted my thoughts all week long. I asked the clerk if they expected to get anymore in stock. She didn’t think so but took my name and number just in case. 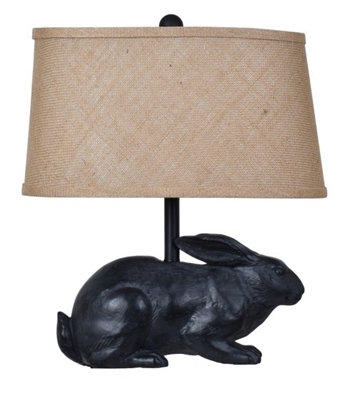 I wanted the rabbit lamp for the console table in my dining room. Days and months went by and no call from The Little Traveler. I looked for the lamp online but came up empty-handed. 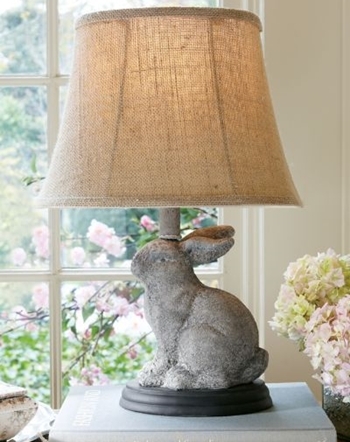 I finally managed to get over the rabbit lamp that got away. Until last month, an entire year later, when I got a call from Debbie at the store. 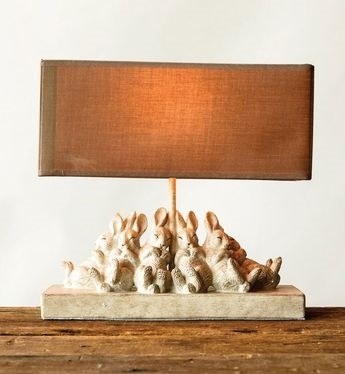 My rabbit lamp was back in the store! They had only purchased two of them and one was already sold. Debbie asked if I wanted the remaining lamp. Yes!!! I paid for the lamp over the phone so no one else would get it, and went to the store that day to pick up the lamp. Inside the bag was a note. 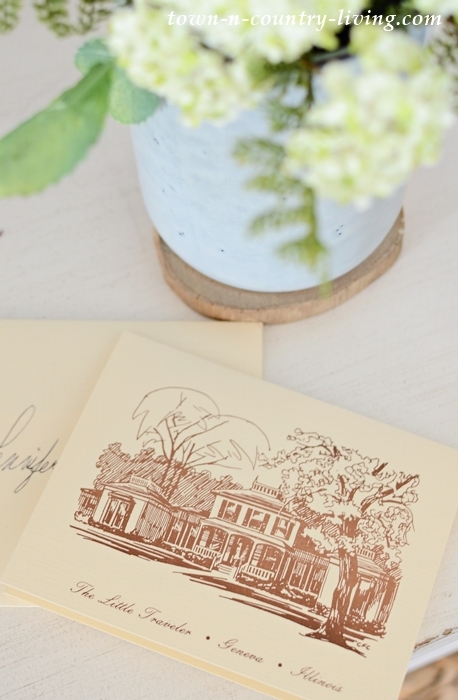 The note card has a drawing of The Little Traveler on the front. 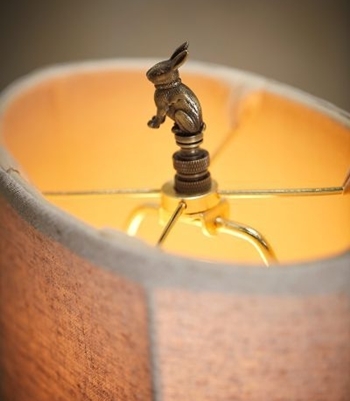 Although I call this the story of my rabbit lamp, it’s also a story of good old-fashioned customer service! 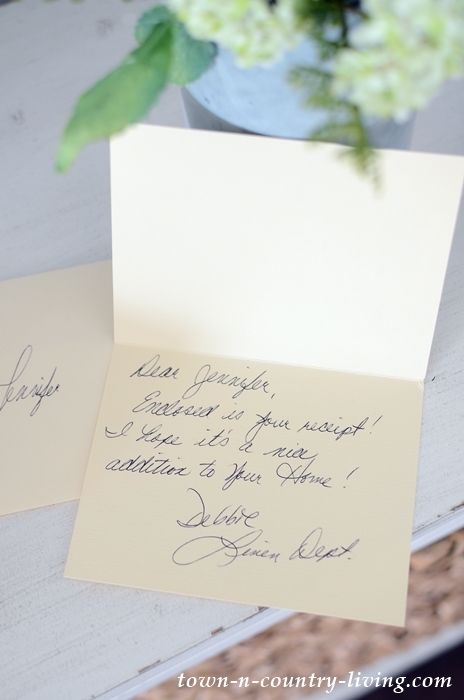 I was so impressed with Debbie and the fact she had not only kept my name and number on file for a year – but she checked her records after the lamp came in. Since I know both the owner and the buyer at the store, I made sure to let them know what a treasure they have in Debbie. Have you ever regretted a treasure that got away? And thank you for all the wonderful Pictures from all the Houses. I like this Blog so much. 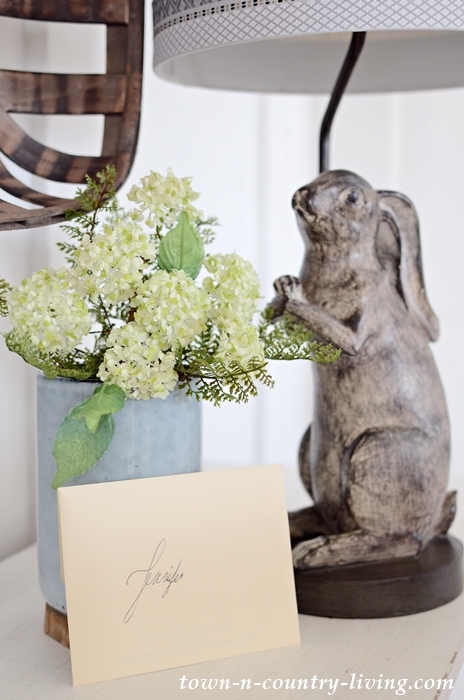 Love your lamp – it was worth waiting for – and love all the nature items in your home. It tells me something very good about you. So happy to hear the story of great customer service, it’s so rare anymore. Indiana is finally getting some “nearly Spring” weather so am anxious to get out of the winter doldrums and improve things both inside and out. Had my lawn cut for the first time yesterday and it was exciting. It’s been a loooonnnnggg winter! Yes. I have and regretted it severely. What a great story and what a great Debbie! It’s hard to find that kind of service these days. 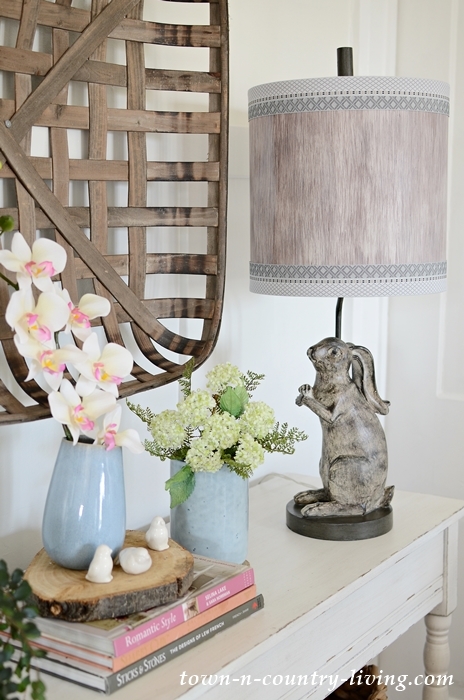 Love the lamp. It’s adorable and can see why you love it too. Yes, and it made me sad for awhile. It is raining here and I am so relieved for all those involved in the fires we have had here in Okla.Thanks for the wonderful story, it is a very nice lamp. What a sweet story! The Little Traveler is such a treasure. All the babies in our family have had at least one special gift from there! There truly is something for everyone, and the customer service is outstanding. When I lived in the area, we often went to the Christmas Walk. I also worked in another iconic boutique a little further up the Fox. You live in such a beautiful area! Ha! Yes, I have. I think we’ve discussed our love for Little Traveler before. And this is one more reason to love that treasure trove of goodies. 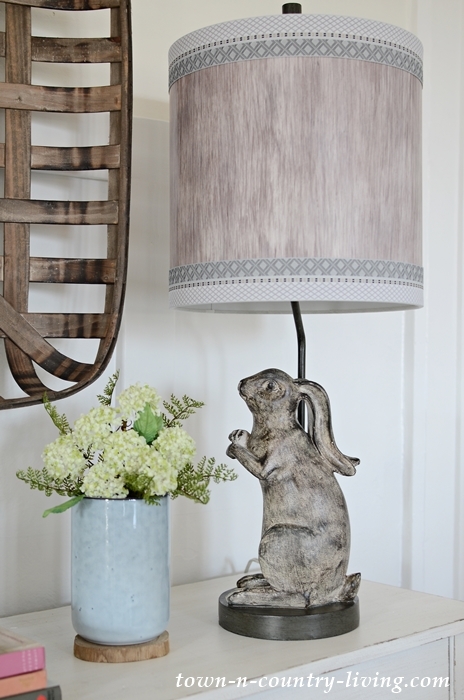 The bunny lamp looks quite at home in your dining room. Such a great story with a super ending. 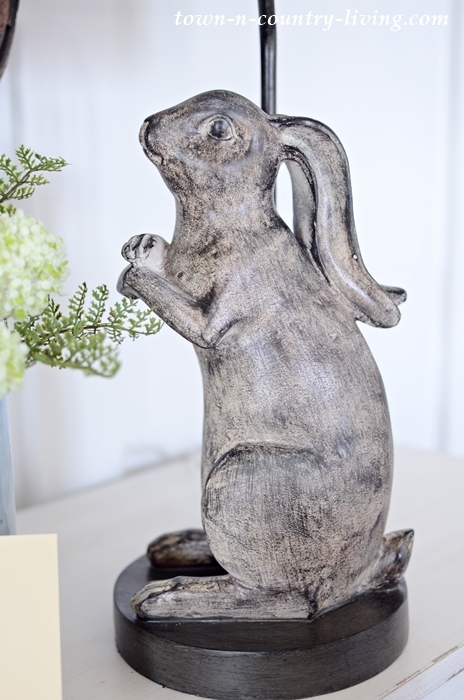 This is one of the prettiest bunny images I’ve ever seen. Most are too cute for me, you know what I mean? It’s a horrible feeling when this happens. No matter how hard you try you can’t get the image out of your head. Sweet. 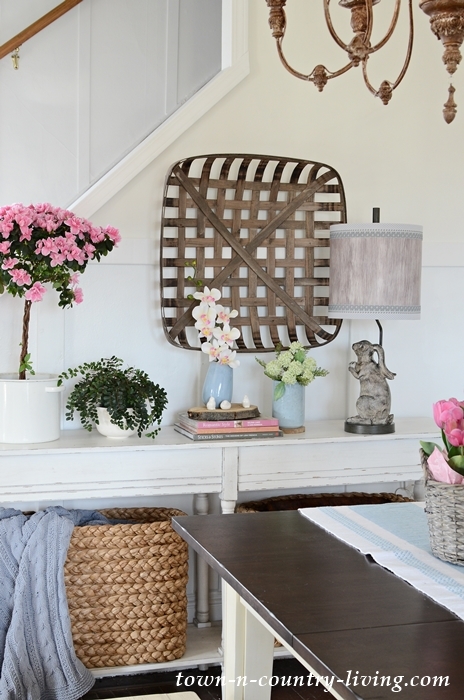 The lamp is a perfect addition to your console table. Glad you have a happy ending.